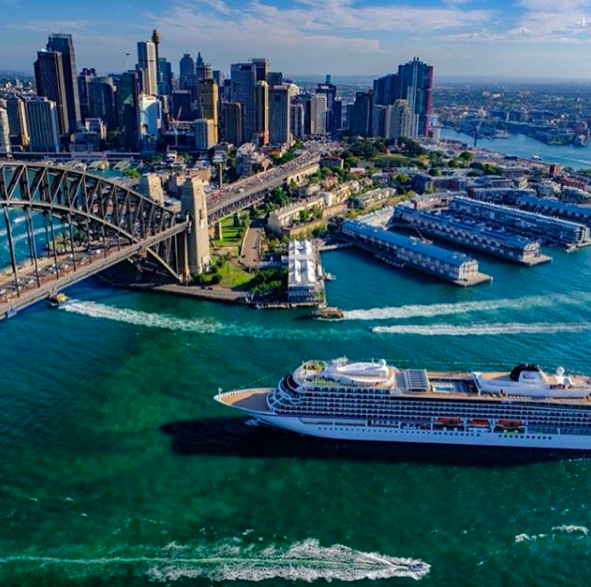 Earlier in 2018 I was invited to be a visiting practitioner on the Viking Sun Cruise ship for part of its maiden voyage around the world from the USA to Sweden. As soon as I stepped onboard the brand new ship, I was blown away by the huge open lobby, breathtaking staircase and clean Scandinavian design of the ship. Gleaming white floors led the way to the light blue carpet of reception where I checked in, and was promptly walked to the spa reception to meet the incredible spa manager and international team. From the flawless Liv Nordic spa reception I wandered passed the huge gym with vast windows facing out to sea and up the wide, open staircase to my floor. Having never set foot on a cruise ship before, I was surprised to see how long the hallways were, they seemed never ending! Eventually I found my ‘stateroom,’ the name for a hotel room on a cruise ship. I had expected a small, boxy room akin to hotel rooms in Japan, but it was far more spacious. In keeping with the ship's Norwegian roots, everything was beautifully furnished in blonde wood or soft blue, and a stunning Norweigian blanket was folded over the end of the bed. The restaurant on the seventh floor offered a huge range of food; my favourites were the fresh berries and yoghurt, scrambled eggs, mushrooms and gluten free toast. The lunch salad bar upstairs on the seventh floor, and gluten free bolognese from Manfredi’s, the Italian restaurant were my favourites. I was thrilled to see how easy the Viking Sun made access to good, nourishing food for each and every guest. For others with coelic disease like myself, Viking SUn even offers gluten free waffles in Mamsen's cafe. I’m so passionate about the topics above, and after seeing the crowds my lectures drew, it turned out the guests of Viking Sun were too! 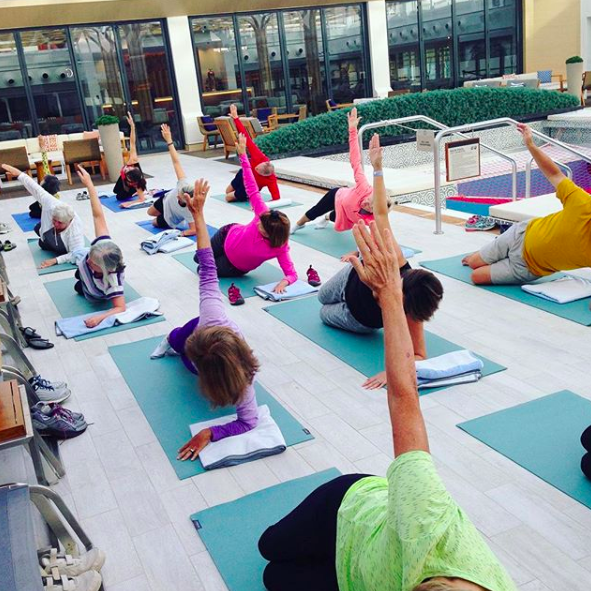 I taught morning Pilates classes on the pool deck every few days and I was blown away by how motivated the attendees were. Most were women, in their 60’s and 70’s who had never tried Pilates before, but they attended every class during three weeks. They went from complete beginners to strong side plankers in just three weeks! I was so inspired by the dedication of the guests. They were so interested to learn how they could continue living well as they aged. 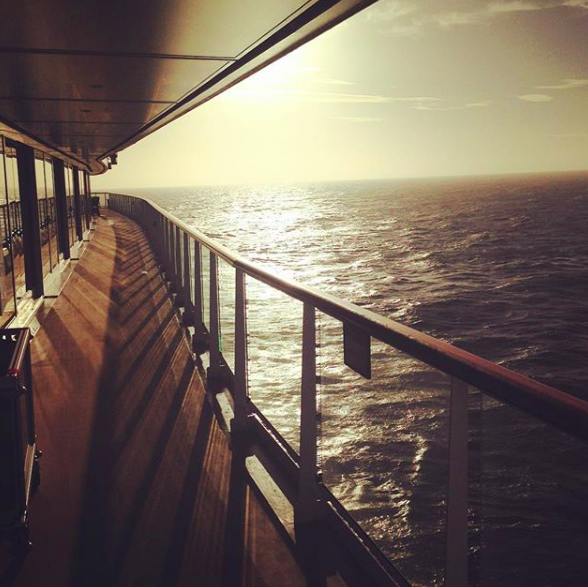 From private Pilates classes to holistic Physiotherapy sessions, I worked with so many wonderful people on the Viking Sun. I had an exceptional experience on The Viking Sun with Liv Nordic, it was a visiting practitioner posting with a nautical edge. I'm so grateful to the Liv Nordic team for inviting me to join the Viking Sun as a visiting practitioner. To learn more about the Holistic Physiotherapy services I can offer your guests, click below.